So, for what cause was this Great Abandonment ? Well, Äiti went to Ilomantsi, Finland (E) to visit Great Uncle Sampo and Aunt Mesi's nephews and niece. This is about a 6 hour drive, in icky weather but Äiti wated to visit the squablets while at their cutest age. Here they are - 7 weeks old and clearly plotting mischief! 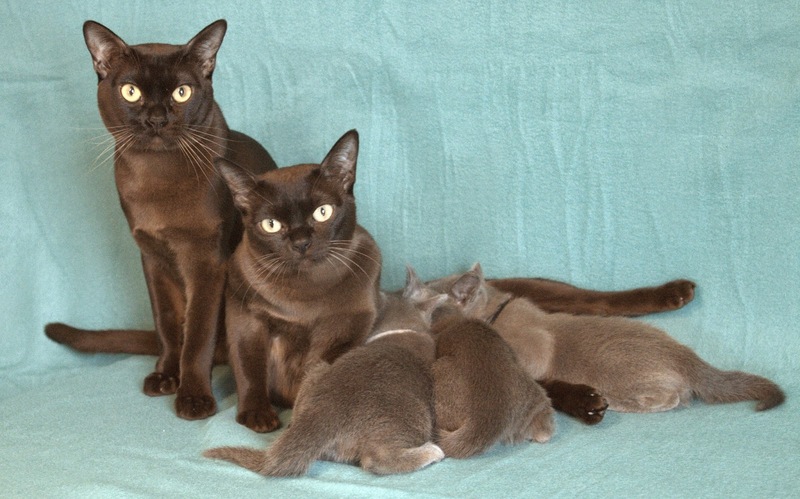 Meet Mr & Mrs Brown and their blue kittens! Hehehehe - genetics has a sense of humour. They are little smurfs. Actually they are called Camry (white collar), Carina (middle) and Corona (black collar). Nippe is still providing milk and Pepe is the most attentive daddy cat: he has a very modern paws-on approach and has been involved in their development at all stages - including the single night with Nippe when she was yelling loudly from behind a closed door, blocked off with a heavy bag. Nothing gets in the way of a girlcat on heat! They are such a fantastic group. Needless to say Äiti has about four thousand photos and more will follow. But she also came home without leaving a deposit or saying they will join perheeni. Phew! She says we are perfect as we are and having one or two little blue ninjas running around will disturb the calm. Here is where this wonderful family lives at the Purmelita's cattery. The weather was poor but there is a dairy farm and a lake. It is isolated and beautiful and Äiti hopes to visit again in summer. And here is what she did come home with: fresh milk, straight from the cows that very morning. It was delicious and much enjoyed. Sometimes it is best to let enough be enough. Mommy is chuckling--love (or lust) laughs at closed doors! Well, fresh milk IS a treat. We think Aiti can be forgiven for her abandonment considering the milk and the fact she left NO down payment at the farm! What a lovely family! Aiti was very strong not to adopt one of them! 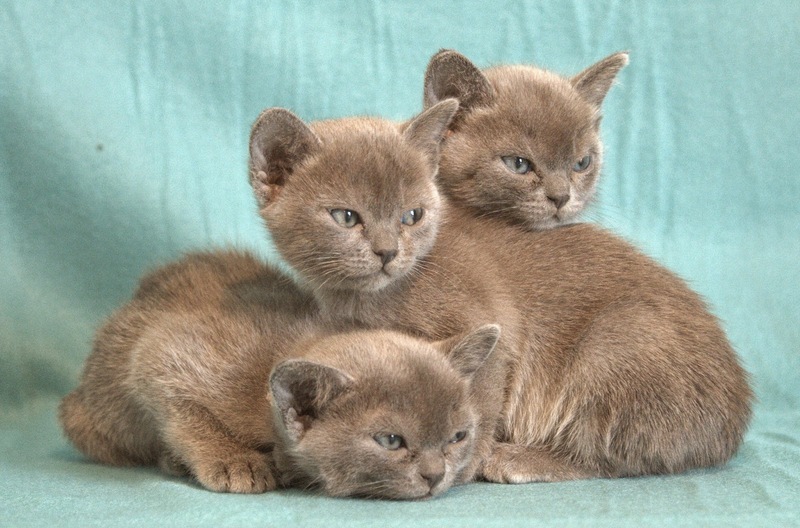 The kittens are absolutely exquisite! Squeeeeeee! Aiti must really cherish the calm because those are the most delightful, irresistible faces! And they're all the more wonderful because they are Nippe's. Do you think that Mesi is the calming presence in your house? Gorgeous photos! They look full of mischief in the first one. Those kittens are sure cute, it must have been hard for Aiti to leave them behind. Good thing she brought fresh milk!